BioCorRx® will become the world leader in chemical dependency treatment by providing healthcare professionals with the most updated and effective tools and treatment programs available, always focusing on a total commitment to quality, ethics, and service. The Mission of the BioCorRx Recovery Program is to support a committed, comfortable, compassionate, individualized, and science-based treatment for every program patient of his or her disease. With a firm dedication to ensure a thoroughly comprehensive recovery program, the BioCorRx Recovery Program aims to optimize each individual patient’s chance of achieving a healthy, happy, and productive drug and alcohol-free life. BioCorRx® is a leading edge healthcare solutions company focused on improving the lives of those struggling with alcohol and opioid addiction. Designed to treat alcoholism and certain opioid addictions, the BioCorRx® Recovery Program is used by a network of independently owned and operated treatment centers located throughout the United States. The program consists of a proprietary long-lasting implant of the FDA approved medication, naltrexone, which is proven to substantially reduce cravings for drugs and alcohol. It’s a high-quality, comprehensive and cost- effective recovery program built on a strong foundation of experience and practice, allowing for an improved quality of life for recovering addicts. What Makes the BioCorRx® Recovery Program Different? Our innovative, non-addictive, medication-assisted treatment (MAT) program, uses a two-pronged approach that addresses the underlying physical and behavioral issues of alcohol and opioid addiction. Studies have shown that long-term success is more likely when intensive counseling is paired with specific medications such as Naltrexone, that reduce the urge to use. A highly effective, proprietary implant formulation of the FDA-approved medication, naltrexone, for which we hold the worldwide rights (except in Australia and New Zealand). A proprietary modular counseling program that is tailored specifically to help those afflicted with addiction and prepares them for a life without their desired substance. This approach of medication plus tailored support typically results in lower patient drop-out rates due to reduced cravings for a longer period of time since the medication is delivered automatically. The program can be done very discreetly on an outpatient basis with virtually no major disruptions from daily life. The BioCorRx® Recovery Program was designed for people who have tried quitting drinking or abusing drugs in past and have failed each and every time. 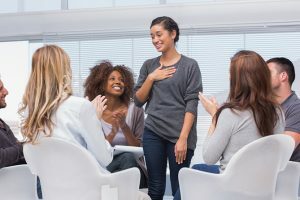 Before finding this program, many patients have attempted a variety of different methods to end their additions, including: willpower approaches, detox, various rehab centers, outpatient recovery centers, therapy, psychiatrists, 12-step programs, group therapies, and the list goes on and on. Unfortunately, despite their best and wholehearted efforts, they never seem to be able to overcome their addictions and quite abusing drugs and alcohol. The reason their recovery is never successful is because addiction is a chronic brain disease, with major underlying physiological factors that often go untouched by conventional addiction treatment programs. In contrast, the BioCorRx® Recovery Program offers a comprehensive and wide-ranging, science based approach to overcoming addiction. The program utilizes a highly effective and innovative medical implant, Naltrexone, to significantly reduce or eliminate the brain’s persistent cravings for more drugs or alcohol. As a safe and biodegradable implant, patients do not need to worry about accidentally forgetting to take a pill or a shot, and thus making them dangerously susceptible to relapse. Once the patient is free from the bonds of cravings and unmitigated desire to use or drink alcohol, they can participate in the counseling they need to confront their underlying psychological, emotional, and spiritual needs, so they can once and for all attain life-long sobriety.